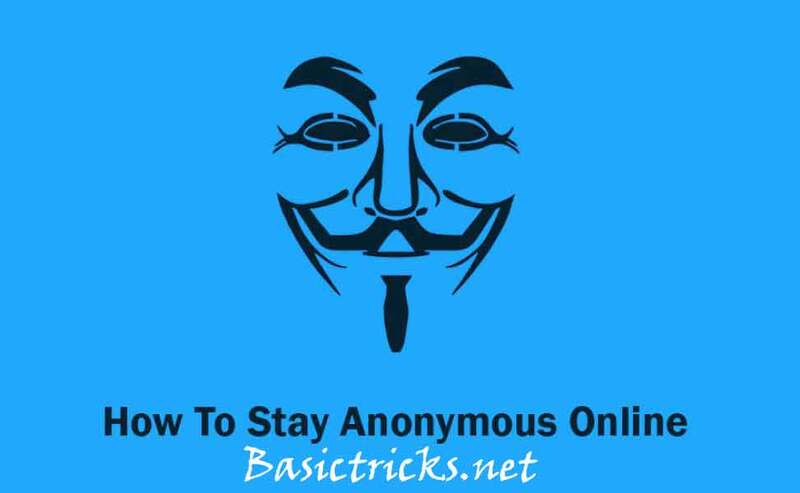 How to Stay Anonymous Online: Privacy is a fundamental human right, and this also extends to our lives online. Online privacy has always been a sensitive topic to discuss, as people would never want to believe they are being watched. Now, however, this has changed. Staying anonymous online has become a necessity after several data breaches over the years, and leaks about shadowy business deals concerning user data. After the likes of Facebook, Google, and several swept-under-the-rug incidents, consumers have become more aware of online anonymity. Projects, such as the Tor project, and hacker groups, such as “Anonymous” have ignited the concern regarding our privacy online. To counteract this, the European Union passed the General Data Privacy Regulation (GDPR), which went into effect on May 25th, 2018. VPN services (such as Avast Secureline) are in plentiful on application stores, and available on all platforms. A VPN simply takes all of your device’s internet traffic, encrypts it, and sends it off through its own network. For example, if you wanted to visit google.com, your browser would make a request for the page, which would then travel through the VPN’s servers, and then from there it would reach Google, and vice versa. A VPN simply routes internet traffic through a separate encrypted network. Something that seems harmless to a number of consumers is advertisements. They are annoying, sometimes helpful, but they are little spies. Ad services, such as Ad Choices, and Google Ads, collect all sorts of personally-identifiable information for customized ‘recommendations’. Using an ad-blocker will help load pages faster and protect your privacy, as these ad analytics tools will not be able to track/log your activity. Although, sometimes third-party websites connect to these cookies when they should not be. For example, you visit a website dealing with pirated content, and it has all of these ‘Share’ buttons. These links connect to social media sites, to share that website. Even if you do not use these functions, the website can still access cookies and it can identify who is using their site. Search engines know the most about us. They collect all sorts of data, such as the search terms (compulsory), physical location, device model, and software version. Accessing the location is easy as turning on your GPS (unless you blocked this), or by using your ISP. Using a different search engine, such as DuckDuckGo helps prevent tracking online. Do-Not-Track is a function within a browser that limits the amount of data a website can access and use. Most browsers have this option, but it is not fool-proof. It may work with some sites, but some may find a way around this. Service providers, such as Google, integrate all of their services. Service providers, such as Google, integrate all of their services. Although you may take precautions such as signing out of your email, your browser may still be logged in with your Google ID. The same applies to Google +. Anonymous email providers such as Proton mail disguises your IP address and location and therefore protects your identity. Never ever click on attachments or links from email addresses you don’t recognize or spam emails. These links may contain phishing software or worse, viruses that could infect your entire Operating System causing it to crash. Google mail usually places mail it recognizes as spam in spam or junk folder. It’s best to delete foreign, unfamiliar emails without opening them at all unless you’re expecting an important email from say, a financial advisor. Only ever open attachments or click on links from senders you trust. This is a free, open-source browser that’s designed to support Google Chrome, Opera, Mozilla Firefox and Brave. Once installed it forces websites to use a more secure connection instead of using HTTP – although this depends on whether or not the website supports a secure connection. Tor keeps your location safe. It can be used on web browsers, instant messenger applications, and many more. It is free and open source designed to support Windows, Mac and Linux/Unix.